Thread: The Phoenix has risen!! First the old bird had; Campy hubs and seat post; Stronglight headset; Cinelli stem, handlebar and bartape; Raceface bottom bracket; and Cook’s Brother cranks. 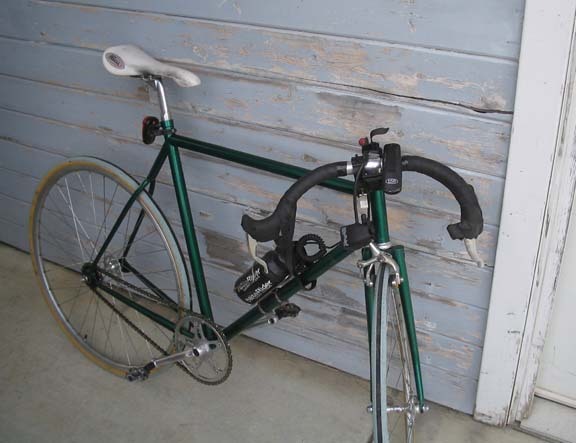 Replaced on the Phoenix, Salsa handlebar, stem and bar tape, Cane Creek break levers. 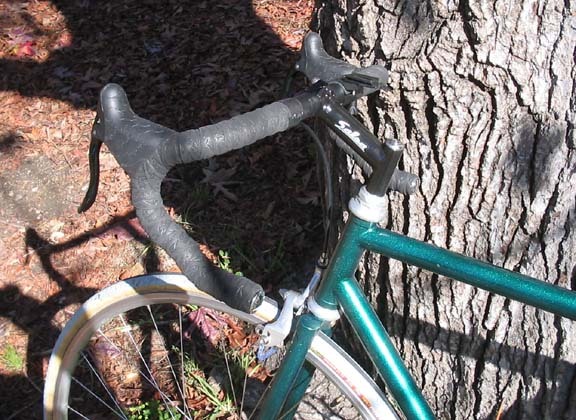 I kind of miss the Athena (Campy) brakes levers, but the Cane Creek levers are more comfortable and the old Cinelli Pista handlebars were made for riders that live in the drops, which I do not. Went for a ride yesterday and really like the new feel; I also found out it's going to be a longer than I hoped to heal from the crash; but at least I'm riding!!! Last edited by aka brad; 03-02-2007 at 02:31 PM. that a fine lookin bike. I like that ride a lot. 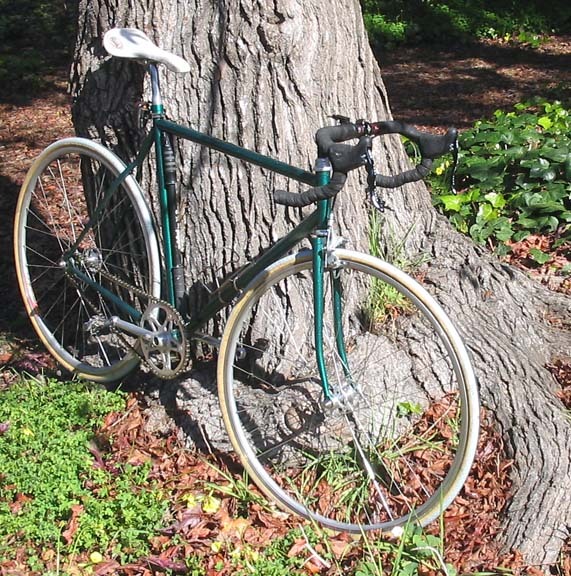 What gear ratio do you use for road-SS'ing? Great looking bike makes me want one! BTW you get that pedal issue fixed? 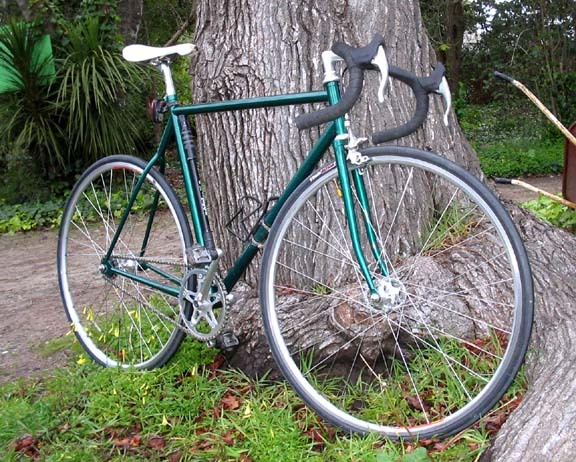 Thanks for the compliment; I ride 38x17. No this is another bike. I'm waiting for my framebuilder to return from the "Handmade Bicycle Show" going on in San Jose this weekend. Once he's back I'll see what can be done with my Stronglight crank. Last edited by aka brad; 03-03-2007 at 09:36 PM. I wanted to go to the show, but I am short on cash right now.... My mechanic buddy is there and in heaven.